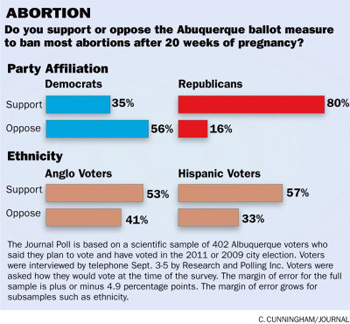 Albuquerque, NM – The Albuquerque Journal released results of a poll today that shows 54% of Albuquerque voters support the proposed municipal ban on abortions after 20 weeks when babies are known to feel pain. Only 39% opposed the ordinance. The late-term abortion ban particularly enjoyed favor among Hispanic people who support the ordinance by 57% regardless of party affiliation. Those who identified as Republicans expressed an overwhelming 80% support for the ordinance. This is the first known effort to ban late-term abortions on the municipal level. Albuquerque holds the dubious distinction of being known as the “Late-term Capital of America” because it is the site of Southwestern Women’s Options, the largest late-term abortion clinic in the U.S.
Organizers used the legislative initiative process to get the ban on a city-wide ballot after it became clear that the predominately pro-abortion Democratic state legislature would not act. Needing only about 12,000 signatures of registered voters to place the ordinance on the ballot, organizers gathered a remarkable 27,000 signatures in 20 days, showing the ordinance has widespread support. City Council President Dan Lewis, who says he supports the late-term abortion ban, has indicated that he will introduce a resolution at the next city council meeting on Monday to place the Pain Capable Unborn Child Protection Ordinance on a city-wide ballot on November 19th. The election would be conducted via a mail-in ballot. That resolution is expected to be adopted by the city council. Tara Shaver, of Project Defending Life acts as spokesperson for the ordinance effort. She gathered documentation through open records requests that indicated ambulances were transporting women to hospital emergency rooms from Southwestern Women’s Options at an alarming rate. Over a dozen 911 records showed women were experiencing life-threatening complications to abortions as late as 35 weeks ranging from a ruptured uterus to heavy hemorrhage. Southwestern Women’s Options is a freestanding abortion clinic that is not equipped to handle serious complications that arise from the risky late abortions. 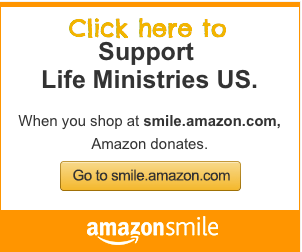 Last month, Operation Rescue staff members participated in a pro-life training conference in Albuquerque, which was followed by street protests conducted by Survivors of the Abortion Holocaust. Abortion supporters criticized the protests as “outsiders” trying to affect city policies. However, Newman has a different take on who the “outsiders” really are. While some erroneously say the ordinance is illegal since it runs contrary to Roe v. Wade, the Supreme Court ruling that decriminalized abortion, the fact is that Supreme Court precedent in Planned Parenthood v. Casey narrowed the Roe ruling, allowing states to regulate and even ban late-term abortions. Bans similar to Albuquerque’s proposed ordinance have been passed in 11 states and introduced at the Federal level. “This ordinance has a high probability of success, given the popular support in the community, and we are confident it will pass constitutional muster if it is ever challenged,” said Newman.